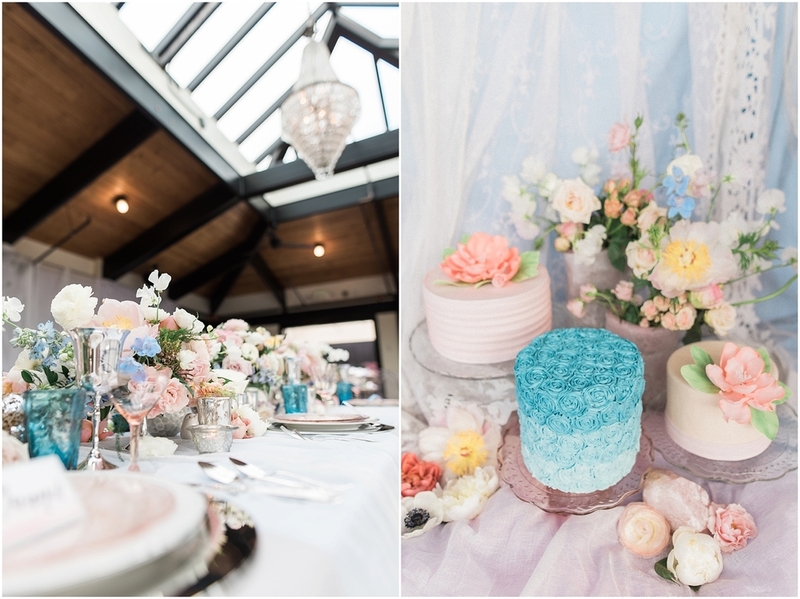 When I first laid eyes upon “Serenity” and “Rose Quartz”, the dual Pantone Color of the Year for 2016, what immediately struck me was the soft, dreamy, and playful nature of both colors and how they complemented each other so beautifully. Being a dancer myself I was immediately reminded of that same airy nature in ballet. 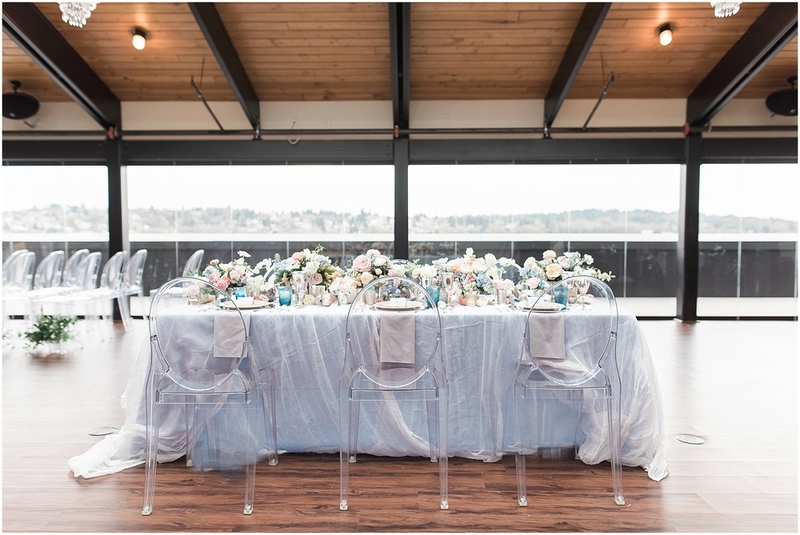 I really wanted there to be a sense of fluidity and movement in everything for this shoot and the classically modern backdrop of the Olympic Rooftop Pavilion provided a perfect canvas to bring that vision to life. 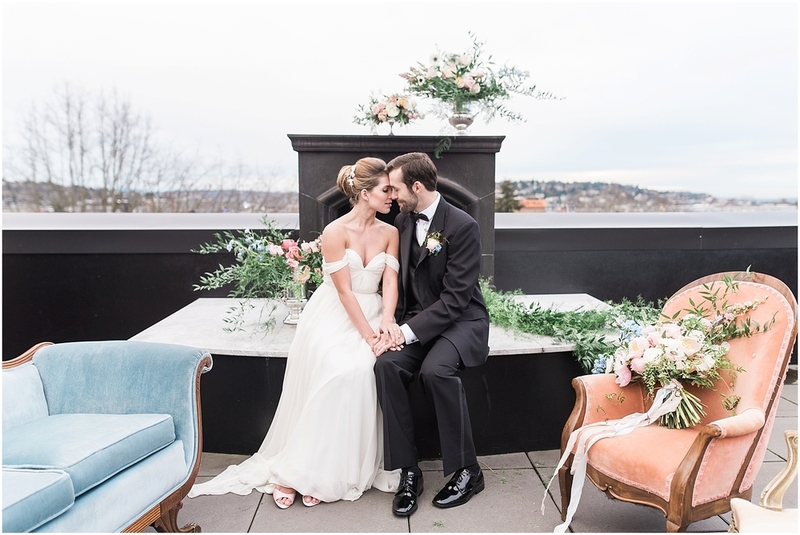 Their breezy open air patio gave the Sarah Seven gown from The Dress Theory the most ideal flowy and fluttery feel. 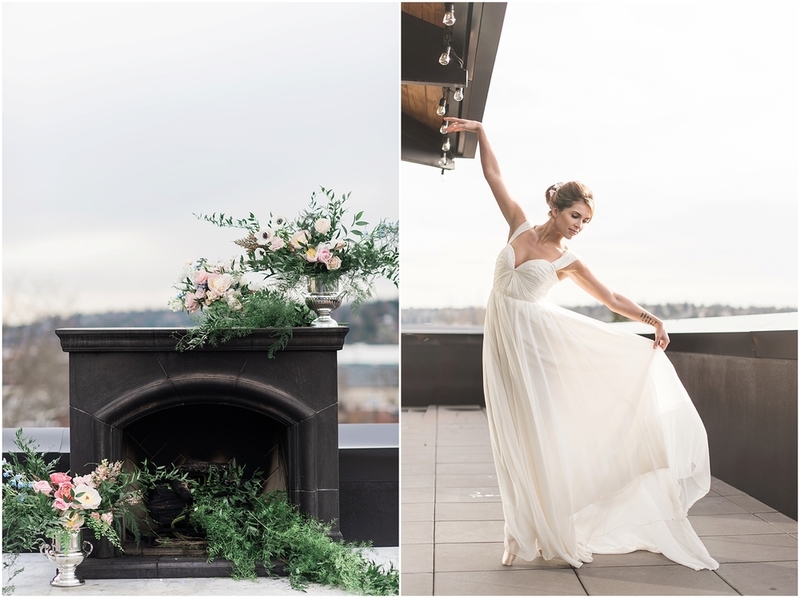 Amy of Gather was able to encapsulate motion in her floaty, hanging, and free moving florals and to top it all off Becca of B. Jones Photography breathed life into the whole shoot with the way she effortlessly directed and shot our models. 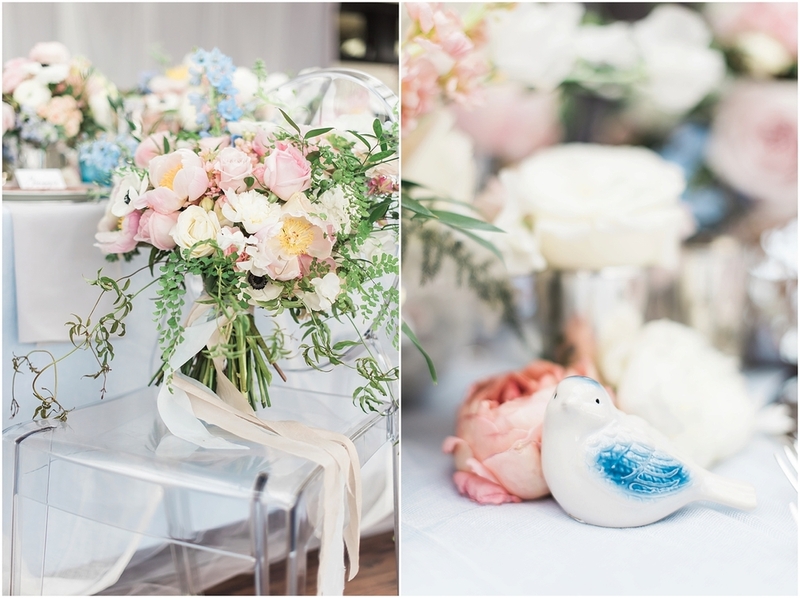 As if the day wasn’t dreamy enough already, the highlight of our shoot was the fact that our beautiful bride, Bronwyn, just happened to be trained in ballet and, at out behest, brought her pointe shoes. Having the opportunity to watch her move in her gown was a thing of beauty and it brought the perfect amount of elegance and weightlessness to an already amazing shoot.